One of the original blue-eyed soul groups, Jay and the Americans helped define the American music industry in the 1960s. With hits such as “Come a Little Bit Closer” and “This Magic Moment,” the four-vocalist ensemble was known for their doo wop harmonies and relatable lyrics that highlighted the angst and celebration of teenagedom. 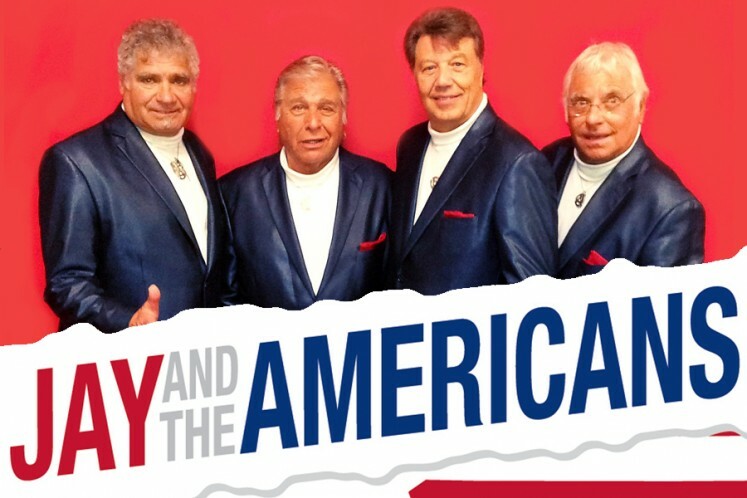 A group that “carried the American flag through the British Invasion,” Jay and the Americans have continued to delight audiences with their authentic, soulful melodies that earned them five top ten records and 18 chart-topping hits. First discovered while performing in student venues at NYU in the 1950s, Jay and the Americans were soon heard on every radio station across the country. Featuring an initial lineup of Jay Traynor, Howard Kane, Kenny Vance, and Sandy Deanne, the quartet experienced their greatest popularity from 1962 into the early 1970s. Their first Billboard hit was in 1962 with the release of “She Cried,” reaching #5 on the charts and later covered by The Shangri-Las and Aerosmith. In 1968, Jay and the Americans recorded an album of their favorite oldies called Sands of Time, which included a celebrated cover of “This Magic Moment” originally by the Drifters. Sands of Time sold over one million copies, furthering the group’s fame. Although Jay and the Americans split in 1973, they got back together in the mid 2000s with the addition of a new “Jay”- Jay Reincke. As of the last few years, Jay and the Americans have experienced resurgence in popularity with younger audiences thanks to movies such as Guardians of the Galaxy Vol. 2, which featured “Come a Little Bit Closer.” Inducted into the Vocal Group Hall of Fame in 2002, the soulful quartet has continued to tour across the country, bringing audiences back in time to the 1960s with each performance.